Synopsis: Magic lives in the Americas, too... Land of the Midnight Sun. The Aurora Borealis. Valley of Ten Thousand Smokes. Dog sleds. Mount Denali. 60 degrees below zero. Moose. Grizzly bears. Salmon. Gold nuggets. Blueberries. Bunny boots and duct tape. To most people, the word "Alaska" evokes visions of a wild, mysterious land, but for Fallon O'Reilly, it means home. Growing up in a village hidden deep in the wilderness, she eagerly anticipates her first sojourn at the Borealis Academy of Magical Arts. Nothing dampens her enthusiasm; not the creepy bookseller, her sisters' nagging or the world's nastiest classmate. 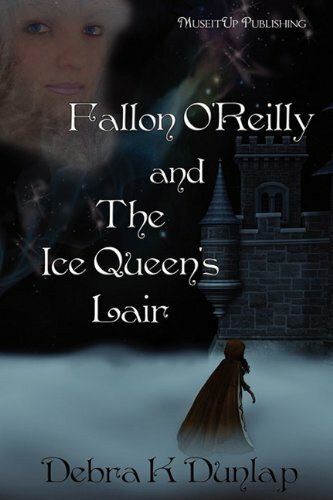 However, when village inhabitants disappear, someone murders a student's pet and she suffers a near-fatal attack by a horrible, hairy creature, Fallon's curiosity draws her into a dark mystery. Can a twelve-year-old witch, together with her wheelchair-bound cousin and new found friend from Wyoming, uncover the identity of the evil behind the chilling events? From the wind-swept tundra to the frozen peaks of Mount Denali, Fallon's struggle to protect the school and her fellow students encompasses a journey of far more breadth than she expected.